You are currently browsing articles tagged Excavations. 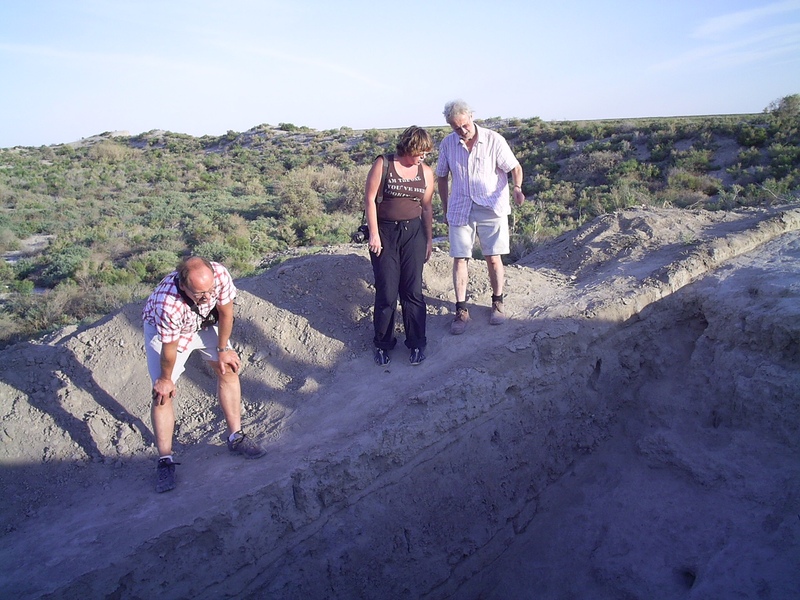 After an exploratory visit to Kazakhstan (reported here in 2009), Heinrich obtained funding from the Wenner Gren Foundation (USA) for an initial excavation season in 2011 at Dzhankent, just east of the Aral Sea. This proved highly successful in showing the potential of the site for a major project, and it provided new dating evidence (see the interim report). 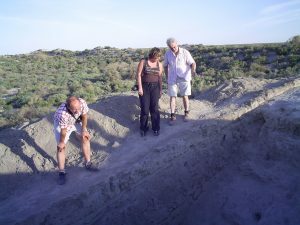 Now Heinrich has obtained funding from the Deutsche Forschungs-Gemeinschaft (DFG) for a major three-year project to explore the relationship between this deserted town on the steppes close to the Aral Sea, and the wider world of trade in the 7th to 11th centuries. The main collaborative partner will again be the regionally important Korkyt-Ata State University of Kyzylorda. There is a whole series of key questions to be tackled: How long did that fishing village exist on this spot before it was turned into a trading site? 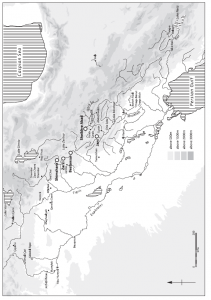 Does the archaeological evidence suggest the presence of traders from the southern Silk Road civilization of Khorezm (Chorasmia)? There are substantial quantities of Khorezmian pottery in the occupation layers, and even the lay-out of the later fortified town appears to copy a Khorezmian type of urban lay-out. When did the Oguz nomads arrive to make this trading town their capital? Did they live in the citadel? 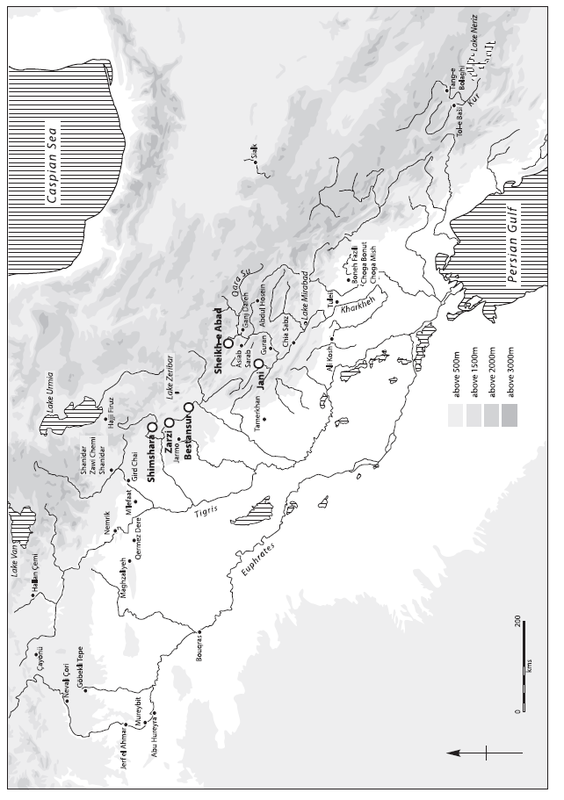 Did they contribute livestock trade to the regional exchange patterns? Where are the cemeteries which might prove or disprove the multi-ethnic nature of this town? 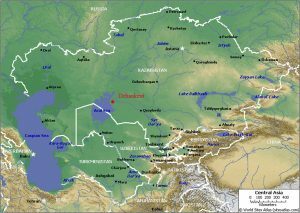 Where is the river channel which must have run past Dzhankent before the delta dried out, and where is the river port implied by a short note in one 10th century text? Is the hump outside the east gate of the town a caravanserai? And why did the town falter in the 11th century? Over the summer, Dr Duncan Garrow spent two weeks carrying out underwater and boat-based survey work on the Isle of Lewis in the Outer Hebrides, in conjunction with his long-term collaborator Dr Fraser Sturt (Southampton) and team. 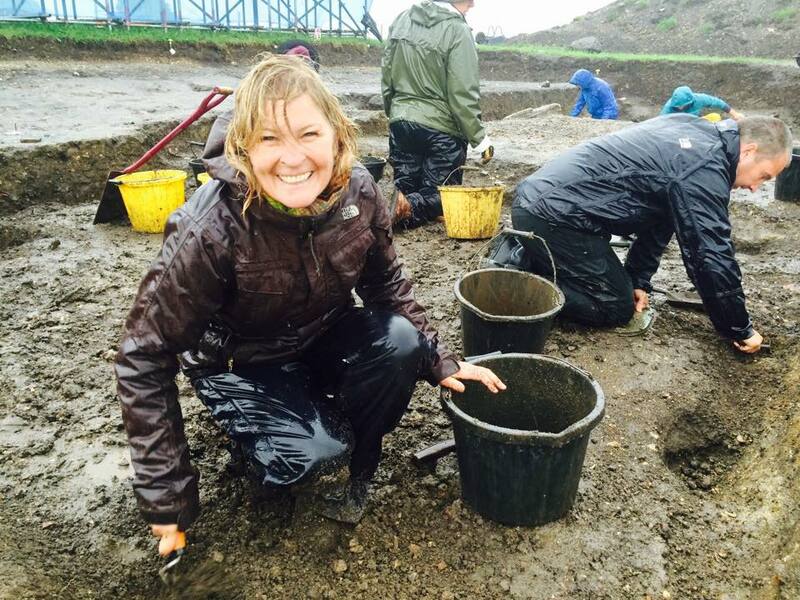 They were investigating potentially the most important new Neolithic sites found in Britain for many years. ‘Crannogs’ – artificial island settlements constructed in lochs – are a numerous, geographically widespread and intriguing category of archaeological site. 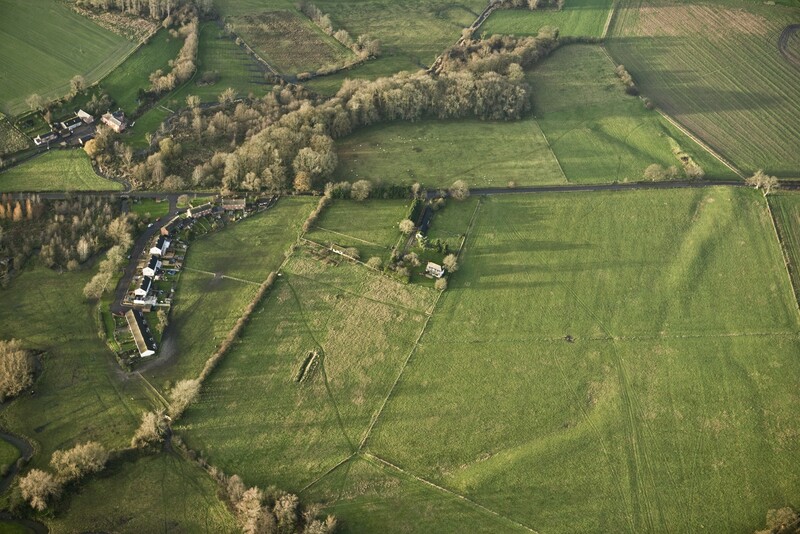 Unusually, this one site type was constructed in many different periods of Scotland’s prehistoric and historic past. Most scholars generally consider them to have been built, used and re-used from the Late Bronze Age (c. 1000 BC) to the medieval period (c. AD 1500). Hugely significantly, our survey of three sites on the Isle of Lewis confirmed that the origins of some of these sites in fact lie 3000 years earlier than previously thought, in the Neolithic (c. 3700 BC). Over 400 crannog sites are recorded in Scotland, and many more no doubt lie undetected. The Outer Hebrides represent a particular hotspot in their distribution, with 150 potential sites identified across the island chain. Mostly unexcavated, it now seems possible that many of these are also in fact Neolithic. 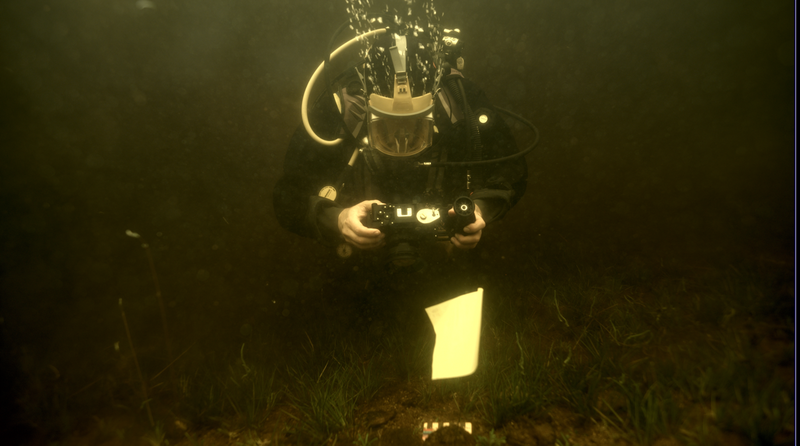 This project was only possible due to the curiosity of a local diver and keen archaeologist Chris Murray. Chris noted that a number of small islets in the lochs of Lewis appeared to have causeways going out to them, and to be a very regular shape. To find out more, he took his diving equipment and began to examine the bottom of the loch. 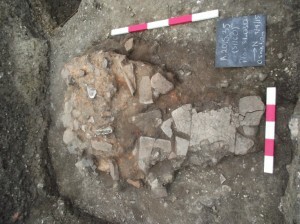 The finds he made included a range of spectacular pottery, much of it dating to the Neolithic. He brought these finds to the attention of the archaeological community, with specialists in the museum in Lewis and at the National Museum of Scotland recognising their rare and important nature. It was this point that our joint project was born – we applied for and gained funding from the Honor Frost Foundation. 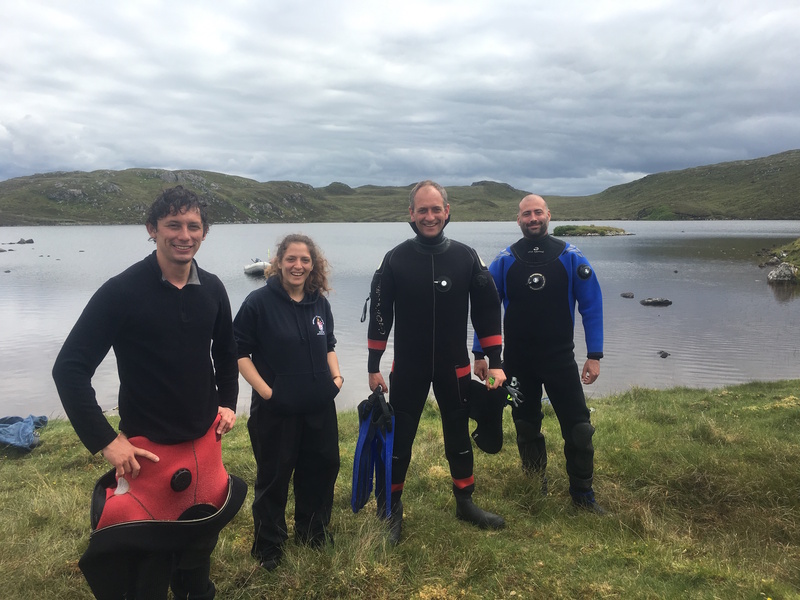 The newly discovered Lewis sites are extremely impressive – our underwater geophysical survey demonstrated that they are massive piles of rock (c. 15m across and up to 6m high) constructed within what would have been lochs in the Neolithic. Their monumental scale is comparable with local stone-built passage tombs of the same date. Our diver surveys identified worked timbers indicating that the mound structures were revetted; stone causeways out to two of them were also observed. Substantial quantities of pottery and quartz have been found on the loch beds around them. The preservation of ceramics – some vessels complete, many largely intact – is perhaps unique within the British Neolithic. – Were these Neolithic crannogs settlements (like their later equivalents) or a new kind of (ritual?) site? – Does any settlement architecture survive? What buildings and/or other features can be detected? – What practices were carried out on the islets and how do these relate to the substantial quantities of material recovered from the loch beds nearby? If these Neolithic artificial islands were settlements, they transform our understanding of social relations at that time – what drove people to isolate themselves from the rest of the community in such a dramatic way shortly after the region was first settled on a substantial scale? Alternatively, if they are specialised, occasional-use sites, what purpose did they fulfil and what roles did they play alongside other monuments? Could they have been meeting/feasting places or venues for other ritual practice, perhaps even including burial? We have applied for further funding in order to undertake small-scale trial excavations on the two most promising sites next summer (2017). Watch this space for further information as more is revealed about these new, exciting discoveries. If you’d like to find out more about our 2016 survey, it is due to feature on the BBC4 programme ‘Digging for Britain’ to be shown some time this winter (possibly early December last time we were told…). 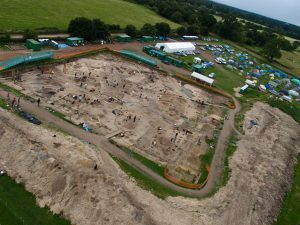 Judges have today released the shortlist for this year’s British Archaeological Awards showcasing the very latest discoveries and innovations in archaeology across the UK, with Reading University’s long-term Silchester excavation shortlisted for Best Archaeological Project 2016. 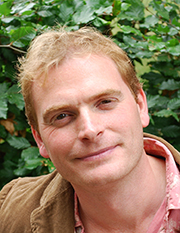 The results will be announced at the British Archaeological Awards ceremony at the British Museum in London on 11 July, compèred by ‘Meet the Ancestors’ archaeologist and TV presenter Julian Richards. “The entries this year reflect the incredible wealth and range of archaeology that is going on across the United Kingdom, the quality and expertise of our world-leading archaeologists, and the ever increasing fascination of the public with the history and archaeology of their local area. The British Archaeological Awards entries are judged by independent panels made up of leading experts from across the archaeology field in the UK, including both professional and voluntary sectors and aim to celebrate and share the best of British archaeology with the public. 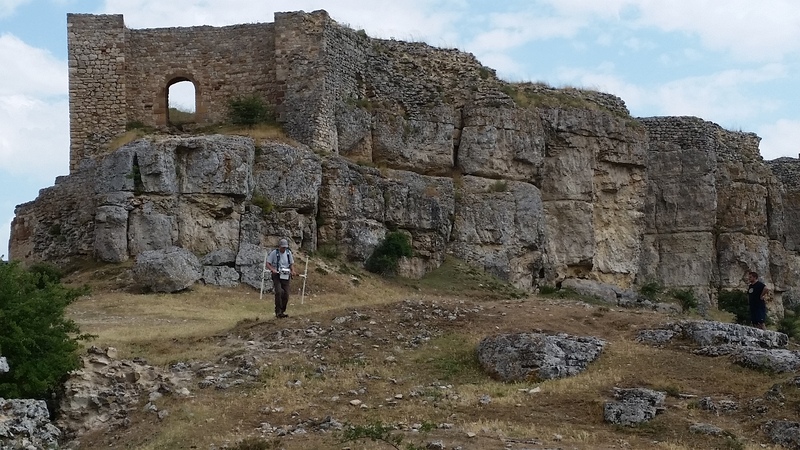 Professor Roger Matthews & Dr Wendy Matthews spent their Easter at the early Neolithic site of Bestansur, Iraqi Kurdistan. The excavations at Bestansur are significant as it is such an early settlement, dating to about 7700/7600 BC. At nearly 9000 years old, this provides us with some fantastic evidence for the very first steps of the transition from hunting to farming in the Neolithic period in this region. 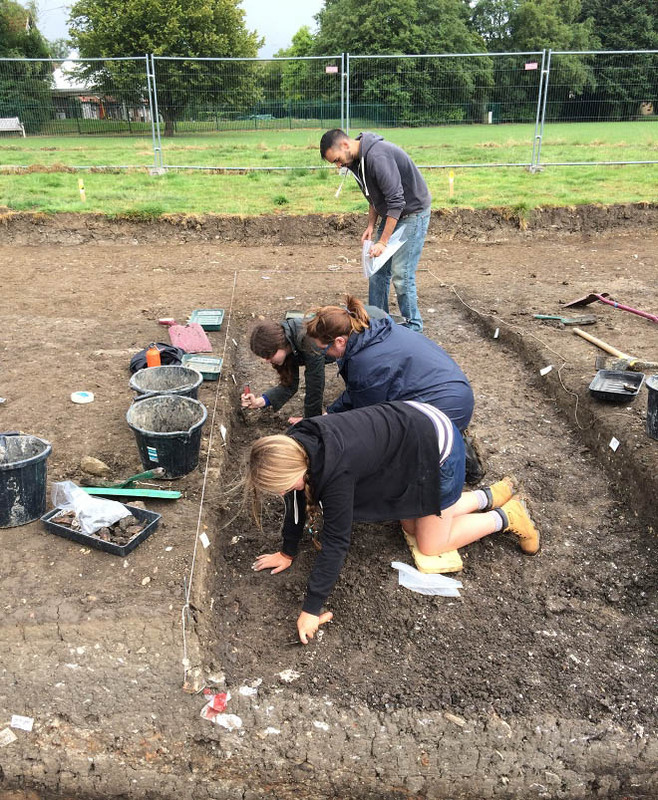 The discoveries this season include the careful excavation of a very special building (Building 5) made of lumps of clay with plastered walls & floor, which had an unusual number of human remains interred beneath it. The team have identified a large number of human remains, mostly disarticulated, and often from very small children. As seen in the video linked to below, one of the theories is that the building may be a special building for the burial of dead people – some of the remains seem to be coming from quite far distances, which is why the bones are disarticulated. 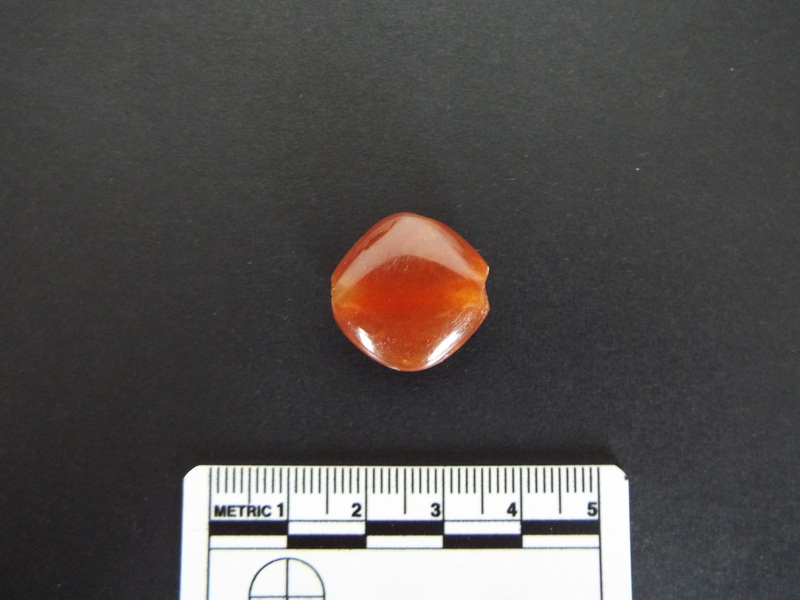 With some of the bodies the team also found small offerings, such as beads of clay or stone, including a bead of carnelian which would have had to be imported from Iran or Afghanistan. 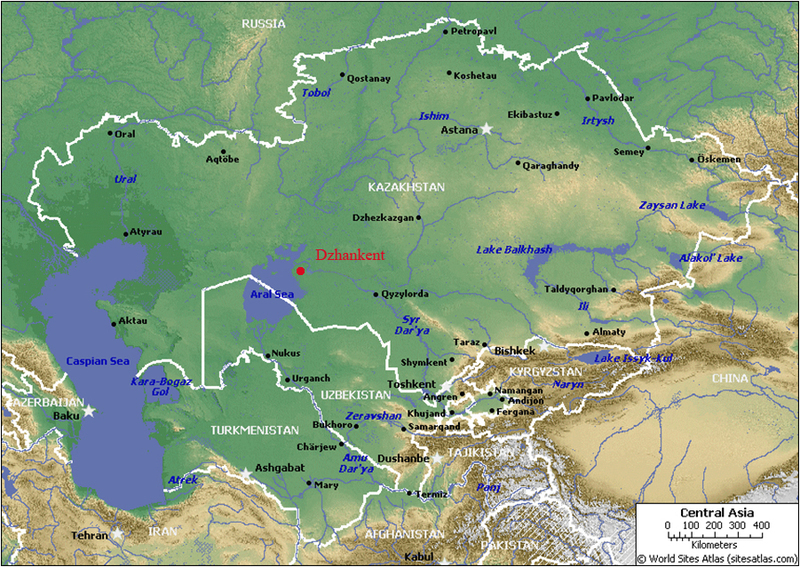 Map to show location of Bestansur and other relevant Neolithic sites of the region. A University of Reading and Sulaimaniyah Antiquities Directorate team recently conducted a sixth season of excavations at the Early Neolithic settlement site of Bestansur, Sulaimaniyah Province, Iraqi Kurdistan, between 26 March and 15 April 2016. The team comprised Roger Matthews, Wendy Matthews and Kamal Rasheed Raheem (Co-Directors), Kamal Rauf Aziz and Sami Jamil Hama Rashid (Sulaimaniyah Antiquities Directorate), Amy Richardson (University of Oxford), Sam Walsh (UCLAN), Adam Stone and Tom Moore (University of Reading) and local excavators. We are very grateful to Sulaimaniyah Directorate of Antiquities for all their support, in particular to the Director, Kamal Rasheed Raheem, the Director of the Museum, Hashim Hama, and our government representatives, Kamal Rauf Aziz and Sami Jamil Hama Rashid, who helped us in many ways and contributed greatly to the success of the season. We are grateful to them all for their hard work all season. 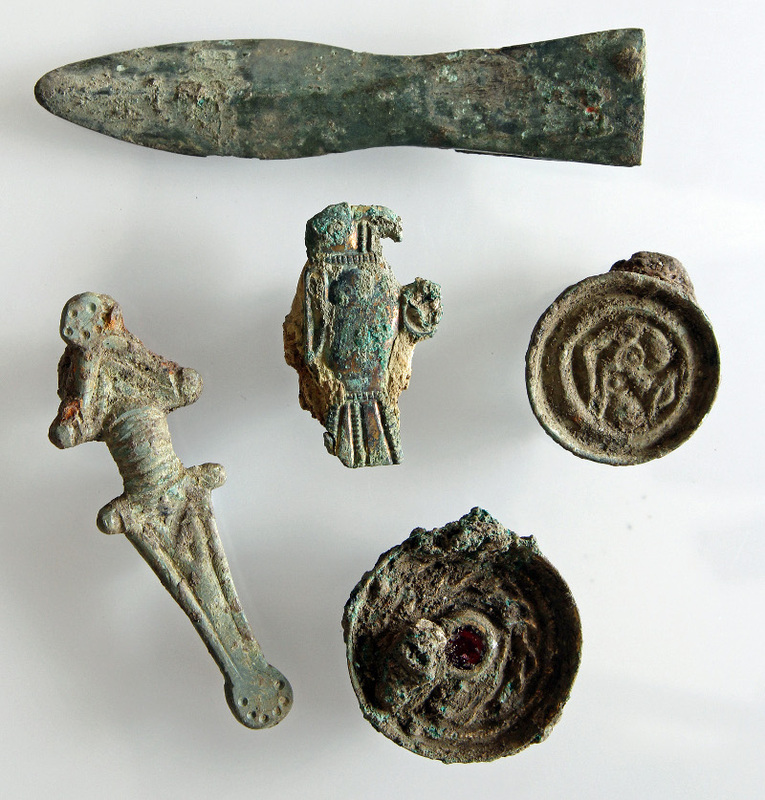 The excavations were financially supported by generous grants from the Gerald Averay Wainwright Fund of the University of Oxford and the British Institute for the Study of Iraq. We are very grateful to these bodies for their kind support. 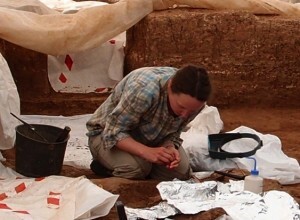 Dr Sam Walsh excavating human remains in Building 5. 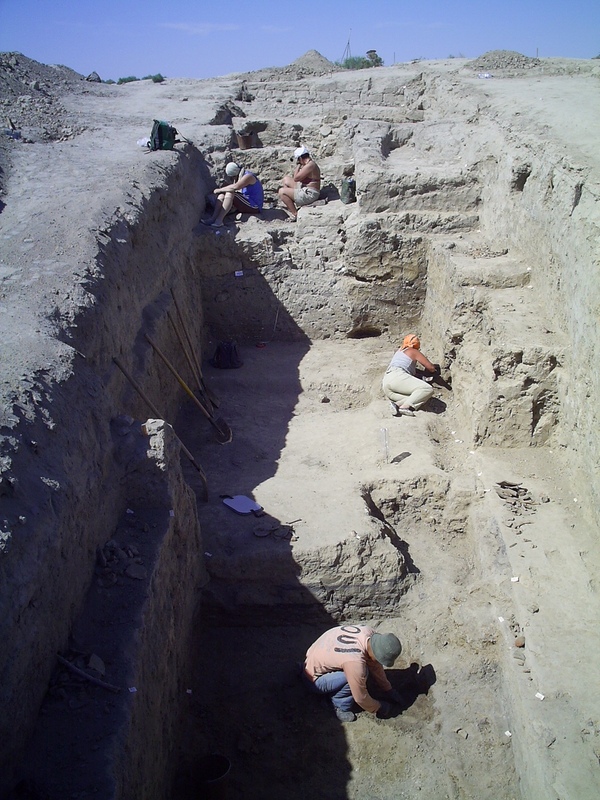 Excavations at Bestansur focused on expansion of Trench 10 to investigate a neighbourhood of Neolithic architecture on the lower eastern slopes of the mound, in an area of 18 x 14m. This season’s excavations in Trench 10 aimed firstly to investigate and analyse of the human burials below the floors of Space 50 and the stratigraphic context of these, and secondly to define the extent of the building in which they were placed, Building 5, radiocarbon dated to c. 7700 BC. We established that there are an exceptional number of human remains interred within Space 50. 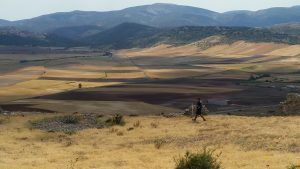 The excavations this season increased the number of individuals identified to more than 55 people, with more remains detected but left preserved in the ground for the next season. This number of individuals is higher than that found in many houses from other Neolithic sites of the Middle East, such as Tell Halula in Syria, for example, where 5-15 individuals were buried within single buildings. The high number within Building 5 at Bestansur is larger than expected for a single household and suggests that there were extensive and long-lived inter-relations between communities. predominantly of skulls, long bones and ribs. Two of these groups were of mixed age ranges. One group included red-pigmented material around clusters of bones and another group included traces of white mineral material on many bones and a skull as well as red pigment. A third group comprised predominantly juveniles and infants. 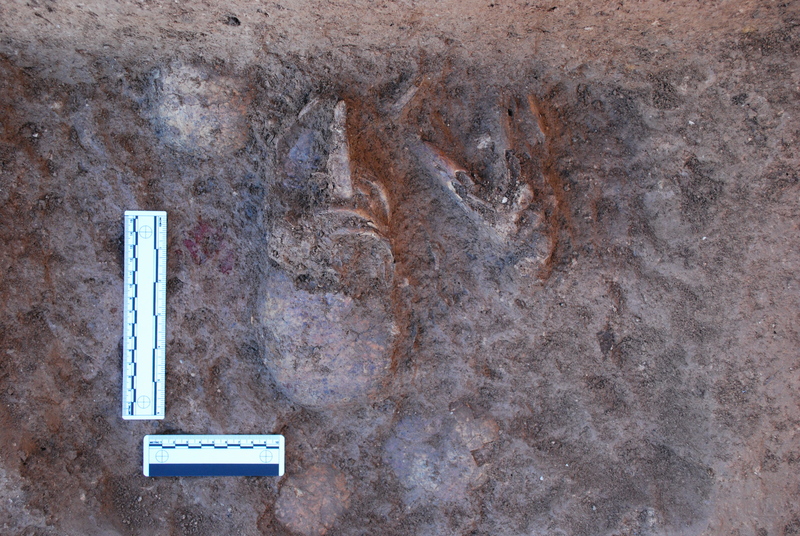 The fourth assemblage was represented scattered remains of human bone and beads in the fill below the floors. 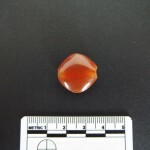 One unusual bead of carnelian, imported from Iran or Afghanistan, was also found (Fig. 7). As the walls of Space 50 slope inwards, c. 10 cm of deposits have been left against the base and lower sections of the walls. These microstratigraphic sequences were carefully cleaned with an artist’s palette knife, photographed and drawn at 1:5 and 1:10 to investigate the history of the construction and use of Building 5 and the complex burial sequence throughout the foundation, occupation and infill of the Building. The north of Building 5, the western narrow rooms and the northwest corner of Space 50 and adjacent buildings were defined by extending trench 10 to the northwest. We will continue excavation of this extraordinary deposit and building in spring 2017 and beyond. Recording of human remains was conducted in the field and the laboratory by osteoarchaeologist Dr Sam Walsh (Fig. 4). We are very grateful to the Sulaimaniyah Antiquities Directorate for permission to export human bones and teeth for analysis to study diet, health and mobility. We will be carrying out a full programme of analysis of this very special assemblage of human remains from the Early Neolithic period. You can watch an interview with Roger on Rudaw TV here. Professor Michael Fulford, CBE and Archaeologist of the Year, is as near as our profession will get to having Royal Navy Commander James Bond on its books. And, in true 007 style, and with reference to the 1983 Bond film of that name, we have learnt that The Commander will Never say Never Again. Mike and I had left a hole in the ground (and in our hearts…..) at Insula IX in August 2014, and had walked away, olive trees in hand (our farewell presents from the participants), never thinking we would be back. 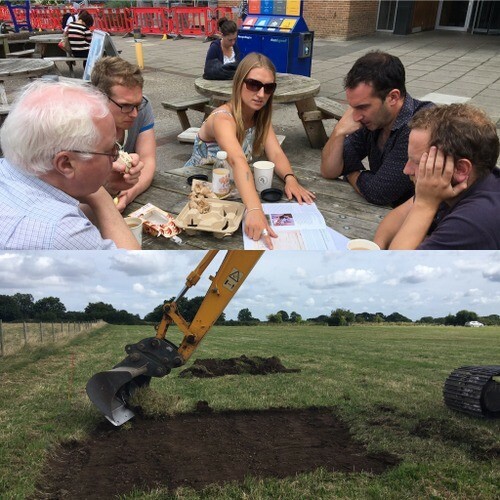 Now here I was, returning to Silchester in August of 2015, to set up and run a 4-week project to excavate a 15m by 20m trench in the north-east corner of Insula 111 in the heart of the Roman Town. What could possibly lure us back? 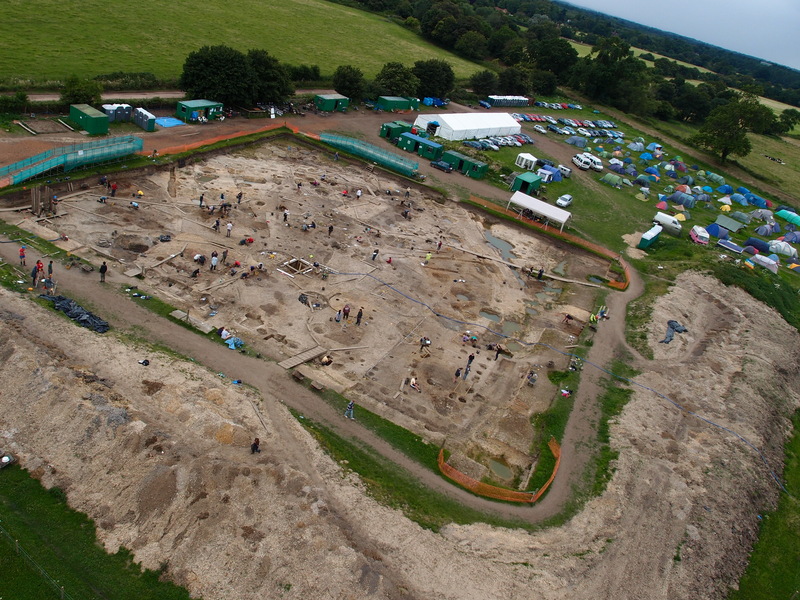 Insula III has been pivotal to our research excavations at Silchester for several years now. In 2013 and 2014 we opened an area 30m by 30m in the south-east of Insula III with the aim of re-excavating the Victorian trenches (dug in 1891) to reveal the structure the Victorians had thought – excitingly – to be a bath house. This methodology – of walking and digging in Victorian footsteps – proved to be an extremely successful one and allowed us, with the minimum of new excavation, to understand further the Victorian campaigns and methods of excavation, as well as determining at least 3 phases of Roman and post-Roman occupation of this part of the insula. 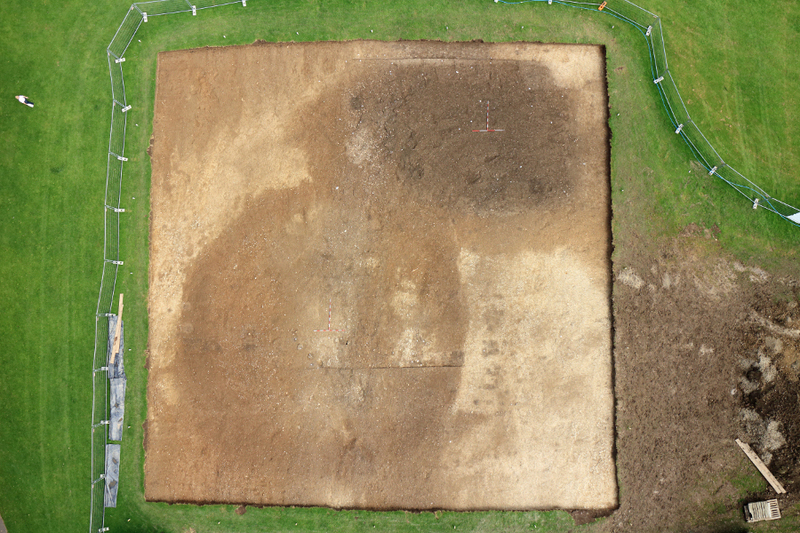 We returned in 2015 to the north-east corner of Insula III as we hoped, by implementing our established methodology of Victorian shadowing, to uncover further evidence for the early Roman palatial structure (misidentified by the Victorians as a ‘bath house’) we had exposed in 2013 and 2014. 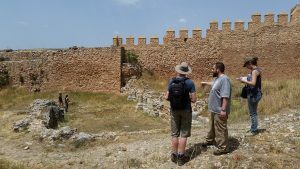 This would lead our research in a new and exciting direction, promising an early Roman template of town planning, possibly under the auspices of the Emperor Nero. The first week of excavation in 2015 revealed several things fairly rapidly to our team of volunteers, Silchester ‘old-hands’ and aspiring 1st, 2nd and 3rd year students. For a start, the Victorians had been fairly brutal in their excavation techniques and had employed a methodology which resembled the path of a modern-day bulldozer. However, silver linings and all that, as the excavators of 1893 had avoided and outlined the extent of the spoil heap of the Basilica-Forum excavators of the 1860’s, who had placed an enormous and intimidating mound of soil from their forum excavations all along the western edge of the North-South Roman street, extending into the north-east area of Insula III. 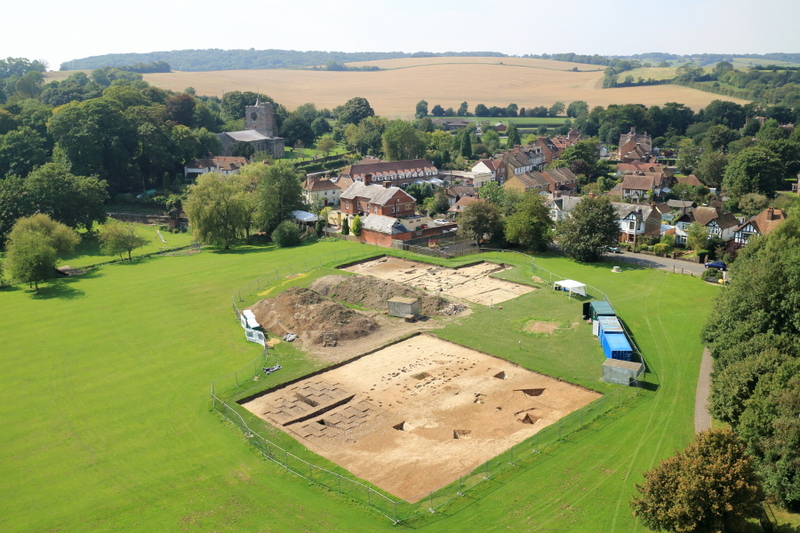 This meant that preserved intact beneath the outline of this spoil heap were undisturbed late Roman and potentially post Roman deposits – something of a holy grail for Silchester archaeologists who have been long intent on illuminating the final years of the Roman town. Sadly however there was no evidence for the continuation of the large palatial building located in the south-east of the insula – instead a packed stratigraphy visible in the sides of the Victorian trenches promised a different story. Our second week on site proved an enormous challenge on many fronts; we had to re-employ our JCB to remove the huge depth of Victorian backfill we were confronted with, as we recognised that this Victorian-sorted soil would only enhance our muscles, and not our minds. As well as this, it rained – very hard. For days on end. By the start of the third week, the Victorian interventions had been emptied, mapped and plotted, and we now had time to look at what they had left behind. The Victorian plan was a red herring – nothing recorded on it was as we found it – but we did gain further insight into the Victorian psyche. 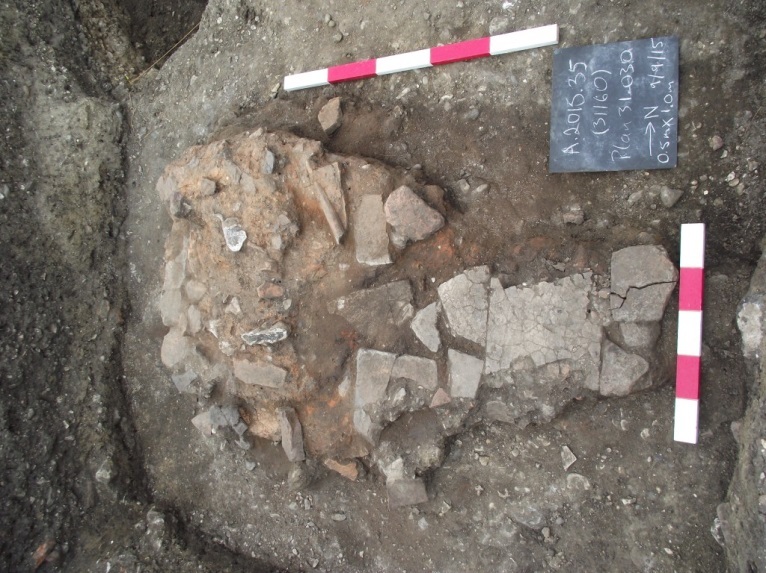 For example, a feature recorded on their plan as ‘HYP’ (hypocaust) and left in situ, turned out to be an early Roman hearth, pedestalled and separated from its context – but still intact, beautiful, and able to be sampled and studied. The Victorian excavators had not reached the natural ground surface but had instead stopped at an extensive spread of gravel of early Roman date. So, our methodology was to extend downwards from some areas of the Victorian intervention to see if we could stratigraphically uncover the earliest occupation on this part of the insula. 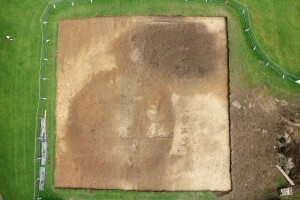 This we did, revealing a number of Iron Age features at the base of the sequence. 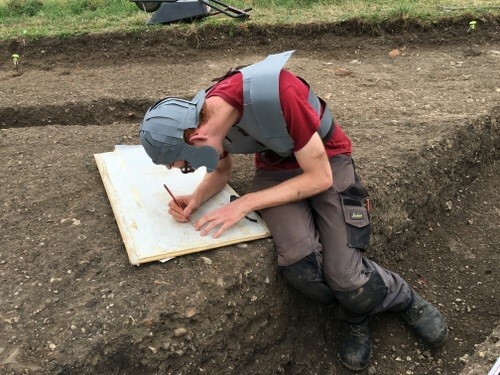 The strategy for the fourth week on site was simple: to record and sample the sides of the Victorian trenches – which contained the story of Insula III from earliest to latest – and to begin stratigraphic excavation of the late Roman tabernae, or small shops which fronted onto the north-south and east-west streets, and lay beneath the dark soils. The remains of these buildings had eluded the Victorians but we were able to recognise them as flint and gravel founded buildings with clay floors, and backyards consisting of gravelled areas delineated by post pads. 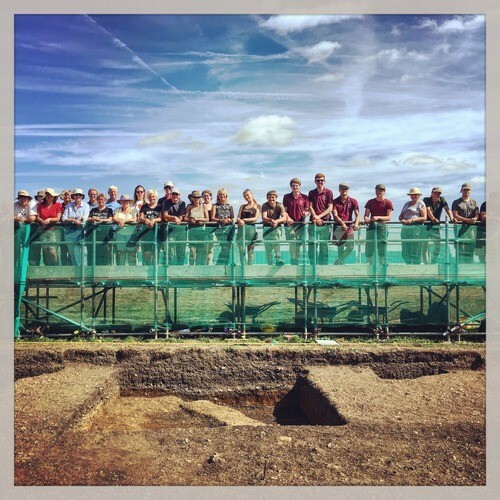 After 4 weeks on site we ended with a very successful Open Day and were able to present our many visitors with a coherent story about the development of the north-east corner of Insula III. Our work has revealed a complexity of occupation on this central insula, and has provided a tantalising glimpse of the richness of the archaeological record here. Now follows a winter of post excavation to establish the chronology of the area, and the chance to assess the many finds left behind by the Victorians – which included more than 66 coins. See you next year! A team of 15 hardy professional, student and volunteer archaeologists, led by project officer Nick Pankhurst, ignored the August-September monsoon season to tackle the site of Pond Farm. 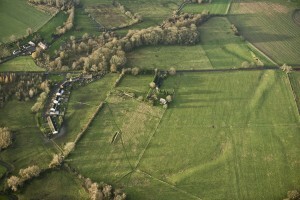 The site was suspected to be an Iron Age univallate hillfort and had been chosen as the first in a series of sites to investigate under the new Silchester Environs project led by Prof Michael Fulford. Four 20x20m trenches were opened up across the site, positioned according to the results of geophysical and coring surveys undertaken earlier this year. Key aims were to date the site and to gauge whether it had a chronological relationship with the nearby Iron Age oppidum that underlies Silchester Roman Town. We also wanted to find out what the site was used for and for how long. Artefacts proved sparse but appeared in just the right places, including a piece of Late Iron Age pedestal beaker recovered from a palisade trench at the end of the defensive encircling bank. The lack of internal structures yet evidence of several phases of earthwork and ditch recutting leads us to suspect that this was not a permanently settled site but one periodically visited over a long time, perhaps as part of a stock management system, with the huge defensive earthworks there to protect valuable livestock. Much of our understanding will however come from the post-excavation analysis and radiocarbon dating of samples collected during the dig. These are currently being processed, and we’ll let you know what we find in a future post. 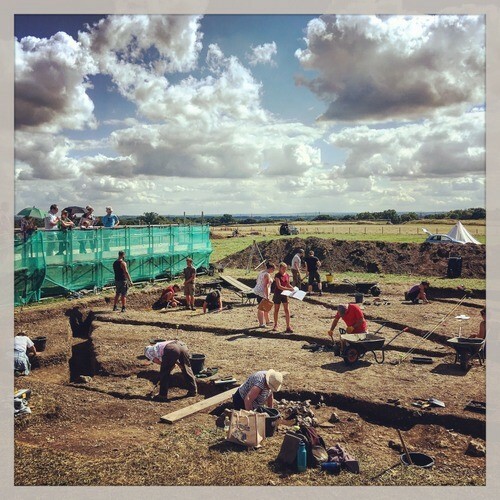 For further information on the Environs project please see the Silchester website or email Dr Catherine Barnett at c.m.barnett@reading.ac.uk. 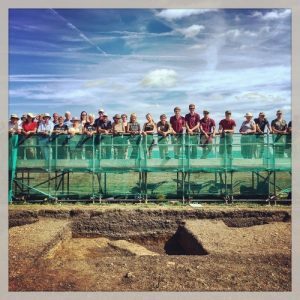 You can also follow Silchester on Facebook and Twitter for the latest updates!